I re-made the picture in a higher resolution. It is based on a ad of Solid. The picture is also available in German – use the language switch. This entry was posted in Uncategorized on 2. July 2016 by self. There were several Commits in the TextSecure-Browser-Plugin (see also the old blog) on GitHub. I merged them with my fix for the message times and made a new package. The most visible change is, that the conversations now happen in the main window as well (you might have to make it a bit broader). Attention: This is still a developer’s version and use on the normal server as well as using it in daily live is discouraged. Anyways: I think beta testing is fun! If you spot bugs, please consider reporting and/or fixing them and submit a pull request on the GitHub page. This entry was posted in Uncategorized on 29. August 2015 by self. As a Web developer you often use a local webserver. You might create an own VHost for each project. The next step is to add a domain like mycustomer.local with the IP 127.0.0.1. This is done by adding a line to your /etc/hosts file. If you do not want to add a new entry each time you create a new project to /etc/hosts, the is a simple way to add a wild card entry on Ubuntu. This works, because current Ubuntu versions use the Network Manager which itself starts the local DNS server “dnsmasq”. This entry was posted in Uncategorized on 7. February 2015 by self. We have one (a bit old) Linksys / Cisco ADSL router of the type WAG160N. Recently we decided to set up MAC filtering (in addition to a WPA password of course). We only allow access to the WiFi after we know which MAC the person’s device has. The reason is that we have only a very narrow connection speed and want to be able to see if anybody is (unintentionally) using to much bandwidth – due example by automatic updates. 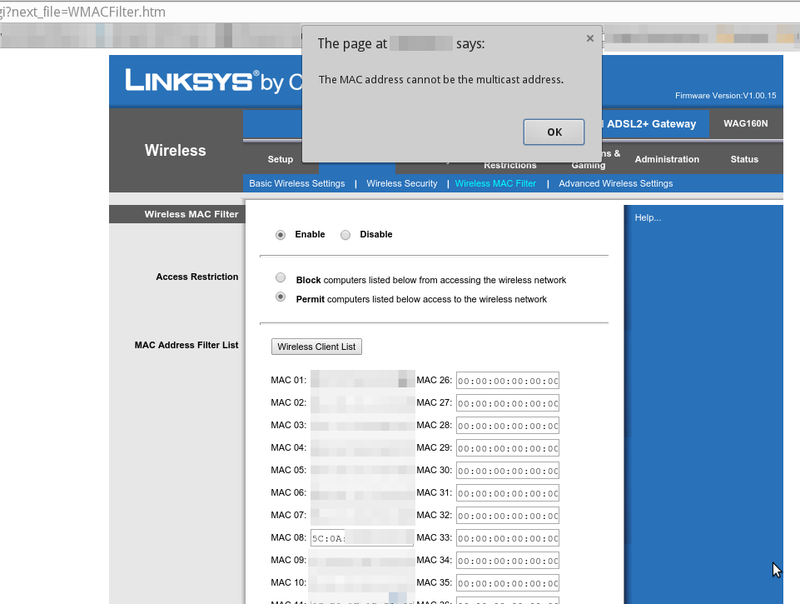 All was fine for some days until we tried to add another MAC address to the filter and got the message “The MAC address can not be the multicast address”. It was an address starting with “5C: …” which does not seem to be a multicast address at all according to Wikipedia. if((byte&0x1)==0x1)//if lowest bit of first byte is 1, then it is multicast address. Quickly I found a workaround for this problem. After this you can save the settings. 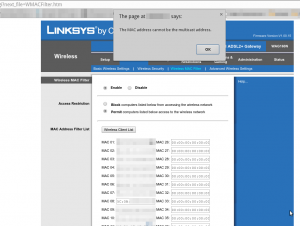 There is no router-side validation at all. This entry was posted in Uncategorized on 12. December 2014 by self. 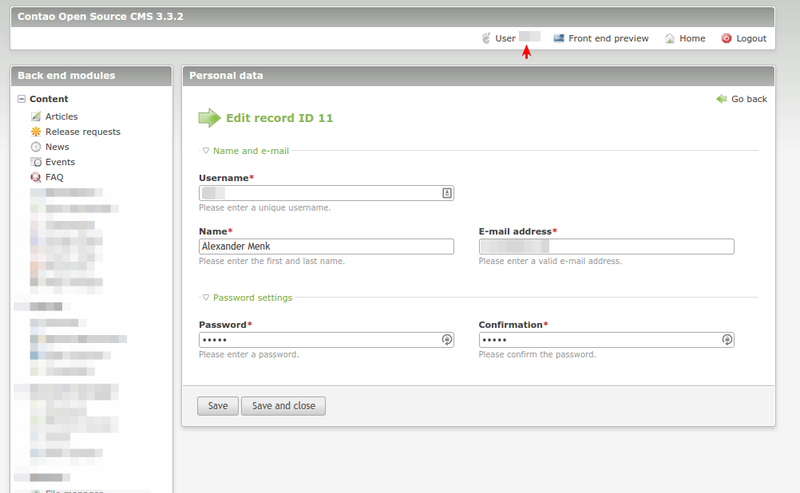 I was wondering how to change the fields which a backend user can edit by clicking on “User John Doe” in the backend. This entry was posted in Uncategorized on 7. November 2014 by self. This entry was posted in Äthiopien on 3. August 2014 by self. 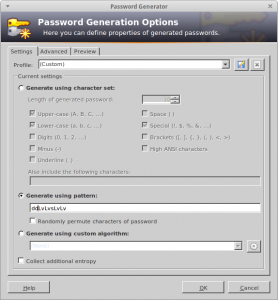 I am using KeePass2 to generate pronounceable and easy to remember passwords using the generate-by-pattern function. 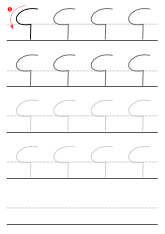 The pattern is use is similar to “ddLvLvsLvLv”. 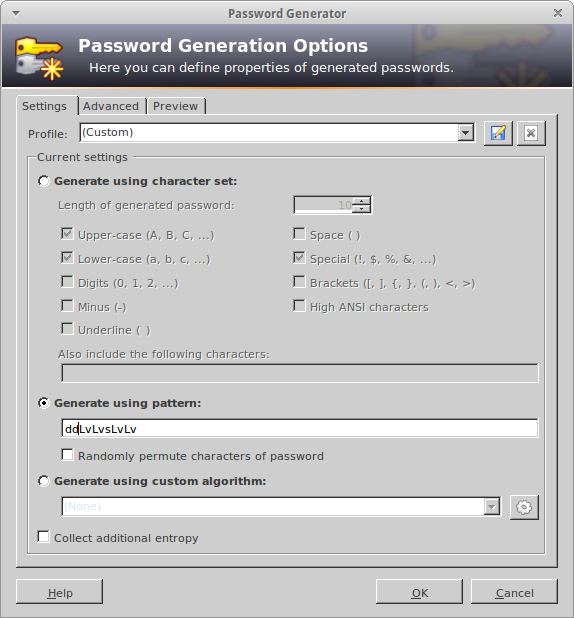 Be aware to modify the pattern so others can not easily crack your passwords. This entry was posted in Allgemein on 22. July 2014 by self. On my Android phone I use Cyanogen Mod 11. Unfortunately the integrated picture taking app does not support Google’s Photo Sphere function which I like a lot. That is why I installed Google Camera from Google Play. This comes with one disadvantage: The Google Camera does not allow choosing the storage path which I would like to set to the SD card which has more space. I tried and learned a lot: First I was trying creating a symlink using the Terminal Emulator. Setting a symlink using the command ln -s /storage/sdcard1/DCIM/ /storage/emulated/legacy/DCIM is not working an gives me a “link failed Function not implemented” error. Finally I figured mount -o bind /storage/sdcard1/DCIM/ /storage/emulated/legacy/DCIM has the desired effect but how can I make this on every boot? I thought of editing the fstab but now the Terminal Emulator was a bit hard to use so I Googled for SSHing to my phone and discovered the Android Debug tool. First I activated USB debugging by clicking seven times on the build number on the about screen to activate the developer mode which reveals the USB debugging option. We have to specify root permissions for ADB. On my Ubuntu computer I install using aptitude install android-tools-adb and after connecting my phone via USB I can execute adb shell to open a shell. How can we make this persistent? Back to the original problem, there is no /etc/fstab but a /etc/fstab.qcom. Unfortunately this file can not be edited. We can make it read-writeable using mount -o remount,rw / but now I figured that the changes are not persisted during a reboot. To make a long story short I finally found the folder mount app (needs root of course) which gives an easy GUI to move the folder and mount it on the next boot. Now my pictures are stored on the SD card. This entry was posted in Android on 6. July 2014 by self. The Contao Web CMS System provides the possibility to rewrite classes of the core or of 3rd party modules. In case you want to publish your extension, this is not a suggested way because this can create conflicts if two installed modules try to rewrite the same class. But for local modules this is a valid method. to your autoload.ini. Digging into the code you find out that this require statement is evaluated in \Contao\ModuleLoader::scanAndResolve. The class loader uses the class_alias() PHP function to define an alias for the class name without the namespace. So now the class can be instantiated using \Googlemap. The method \Contao\ClassLoader::findClass() is responsible for searching the registered namespaces for the class. 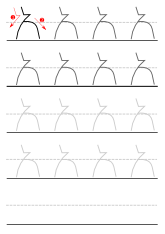 The static field ClassLoader::$namespaces contains the registered namespaces in reverse order of the loading order of the modules so the first match is picked. There is one catch: if two or more of your modules use the same namespace, all of them have to be loaded before the module you want to overwrite (using the required-configuration mentioned above) . Otherwise the namespace will be listed in the wrong order as each namespace can be only registered once and the overwrite will not have an effect. This entry was posted in Contao, English, OSS on 27. June 2014 by self.